The Eagles' "old guys" have not been as effective in 2018 as they were in 2017. During the 2017 offseason, and later into the regular season, the Philadelphia Eagles loaded up on older players who went on to provide significant contributions in backup roles. During the week of the Super Bowl last year, Howie Roseman was asked what he learned in his time away from the team, in terms of building a roster from 1 to 53. His answer was that he became more open to adding those kinds of older players. "I think that sometimes the whole is greater than the sum of its part," philosophical Howie said. "You're going to have a bunch of injuries over the course of the year, and obviously it's the 'who' of who is going to get hurt, but to me to be in a position where one injury derails your ability to compete, we didn't want that to happen, so we wanted to make sure we built up as much depth as possible. "I think you've seen that maybe in the past, we would go for younger players. But here we brought in some veteran guys to fill those roles because we felt like we had a good football team, and we wanted to be able to have this 'next man up' mentality where guys can come in and play at a high level, whereas taking it on the chin wasn't as much as we had done in the past." • LB Dannell Ellerbe (32): Ellerbe didn't have any major impact plays last season, but as a fill-in starter he was decent enough against the run, and an upgrade over younger linebacker Joe Walker. • CB Patrick Robinson (30): The aforementioned Robinson had the play of the NFCCG for the Eagles when his pick-six completely changed the momentum of that game. He was also one of the best slot corners in the NFL during the regular season. • Haloti Ngata (34): Ngata signed a one-year deal and is on the Eagles' cap for $2,725,000 this season. On the season, he has 6 tackles, a sack, and has missed three games with a calf injury. 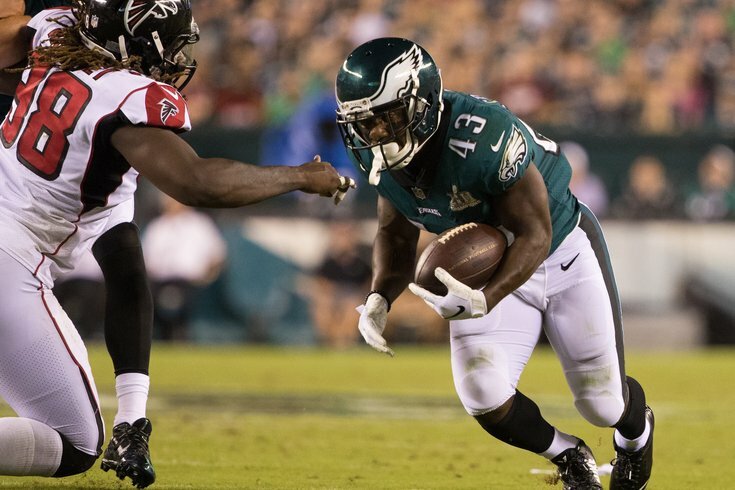 • Darren Sproles (35): Immediately following the 2018 NFL Draft after not having drafted a running back, the Eagles signed Sproles, then a free agent, to a one-year deal. He has missed all but one game with a hamstring injury. • Corey Graham (33): Graham signed with the Eagles deep into training camp this offseason, after playing with the team (as noted above) in 2017. He gave up the 4th and 15 conversion that would have otherwise sealed the game against the Titans, and he has missed the last two games with a hamstring injury. Roseman's "old guy" strategy certainly makes sense, as he was able to acquire contributing role players at a low cost. It paid off big-time for the Eagles in their run to the Super Bowl. In 2018, however, the five old guys Roseman acquired have missed a combined 16 games, which is a risk with older players, and have largely been ineffective when they have been on the field, Bennett aside.